Short 30 Seconds videos that you can download to your phone and can watch it anytime offline. 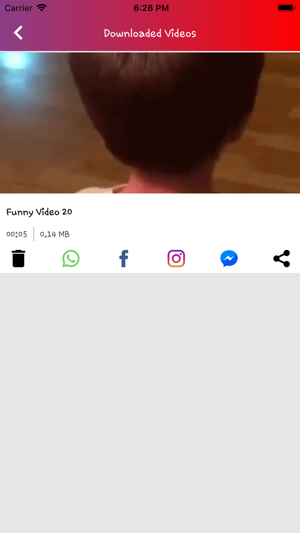 Cute and Beautiful videos that you can share with your friends or can set it up on your WhatsApp Status. Beautiful UI which will work smoothly. - 50,000+ Quotes, Sayings and Status ! - Save Status and Quotes as Image ! - Like and Copy Status and Quotes ! - Share Status and Quotes as Text or Image ! - You can change background color and image ON TAP ! - Quote of the day notification to start your day with #Motivational Quotes ! - A separate TAB to manage your Liked Status and Quotes !